Frank Fitzpatrick, owner of Silverado, CA-based 5 Bar Beef overseeing his herd of pasture-raised, grass-fed cattle. Photo courtesy of 5 Bar Beef. 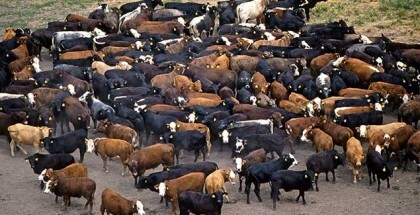 Today, amidst the urban sprawl and paved over groves and ranches of yore, Orange County, CA residents might be surprised to learn that it is still possible to find cattle happily nibbling on grass and grazing the rolling pastures of 5 Bar Beef, a Silverado, CA-based ranching operation located in the Santa Ana Mountains. 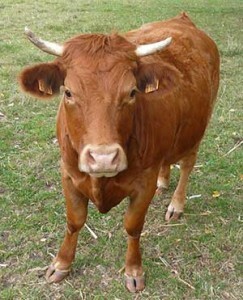 Residents can purchase 5 Bar Beef’s grass-fed, pasture-raised beef at several farmers’ markets in the county and online. “We’re trying to take farming practices back 100 years, but put the business model 10 years ahead,” says farmer Paul Greive of Murrieta, CA-based Primal Pastures. 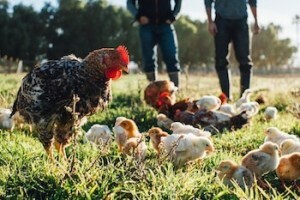 Greive and three of his in-laws founded Primal Pastures in 2012, starting with pastured free-range chickens. The small family farm has since expanded its offering and, in addition to poultry, now sells pasture raised pork, lamb, beef, honey, and wild seafood to its customers. It’s (Still) What’s for Dinner, But Does Big Beef Deserve its Big, Bad Reputation? Delicious hamburgers, succulent steaks and melt-in-your-mouth brisket—all are products of the massive American beef industry. We often hear about the costs, environmental and otherwise, of producing and consuming beef—on climate change, land use and water. But is beef really as bad as all that? Some are pointing to improved environmental outcomes for beef production, at least in industrialized nations. So what’s the truth about beef? The answer to that question is complicated.